HOW TO MAKE ……… A RESISTANCE PAINTING CANVAS GIFT! Paint pots and paint brushes. First of all you need to encourage the children to stick the stickers on to the canvas leaving gaps between each one. Using letter stickers is effective and can make the gift personalised. Use complimenting colours to paint over the whole canvas including the stickers. Use one colour or a selection of colours! Prepare for lots of mess! Place the canvas to one side to dry and wash the child, yourself, the table, walls, cupboards…. ceiling! 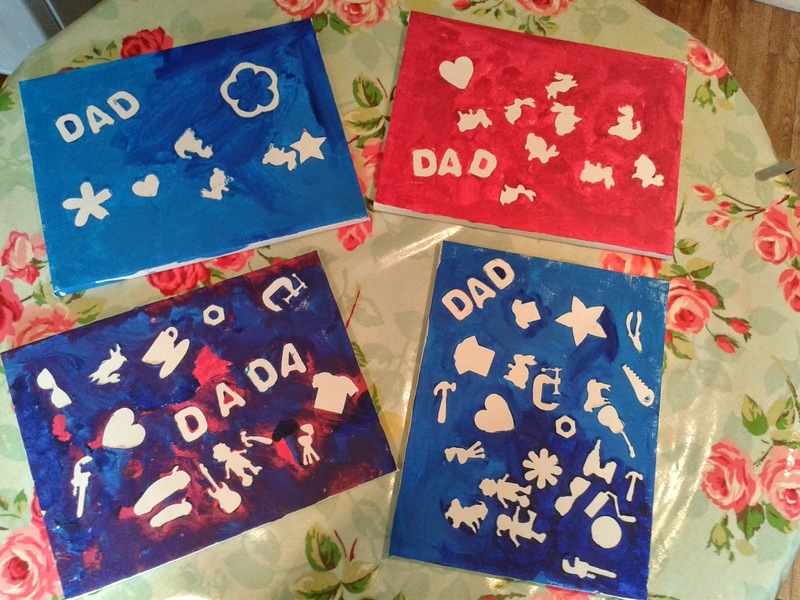 Once dry, carefully peal off the stickers to leave fantastic white shapes, words and pictures on the canvas! A DAY OF MUCH DOING!